The waters of Flamingo Beach offer as well some of the best deep-sea fishing in the world for marlin, sailfish, dorado, snapper, tuna, and dozens of other species. Flamingo Beach, with a full-service marina, is the major sportfishing center in the northern coastal area. 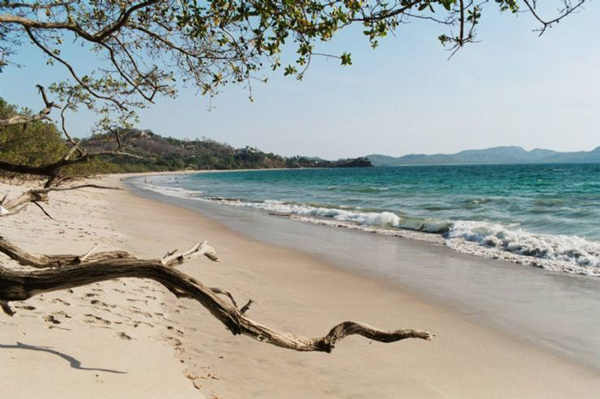 Situated in the province of Guanacaste and only 50 minutes away by car from the Liberia international Airport or 4 ½ hours from the capital city of San José. Activities at your grasp include: scuba diving, sailing, snorkeling, horse back riding, national park tours and sea turtle watching are the most sought after activities. Flamingo Marina is in the Bahia (Bay) Potrero and in the resort area of Flamingo Beach. With Potrero Beach on one side and Flamingo Beach on the other, it is a beautiful setting for the only full service marina on the west coast of Costa Rica, and for the major sport fishing center in the northern coastal area. Flamingo Marina offers the worlds best fishing for Pacific Sailfish, Blue Marlin and Black Marlin with more than 65 IGFA world records set. The picturesque village of Potrero is only moments away surrounded by tropical jungle where monkeys play in the trees and exotic plants and wildlife abounds. The water in front of Flamingo and Potrero Beaches are the primary fishing grounds for the northwest Pacific coast sport fishing fleet. Most Fishing takes place a few miles offshore and the sunny climate and calm seas make the Flamingo and Potrero area an ideal place foe a fishing vacation. The average running time to the Catalina Islands is 40 minutes and 90 minutes to the Murcielagos (Bat) Islands. The Catalinas are the local "honey hole" often fished by half-day charters. The rocky islets produce wahoo, big Pacific cubera snapper and a variety of surface species. The rocky structures along with the mainland inside the Catalinas is home to trophy size rooster fish. The Bat Islands are little more than a chain of rocks jutting out of sea, but those waters nearly always produce amberjack, Pacific cubera snapper, grouper, roosterfish and some of the best wahoo fishing on the coast. With a steep inshore drop off nearby, it is also a frequent "hot spot" for all three species of marlin and sailfish as well. 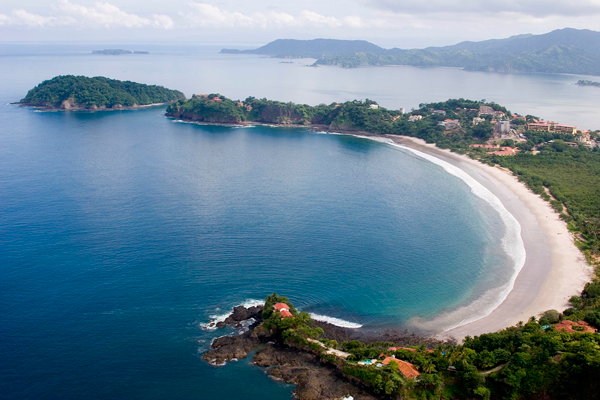 No area in the world offers better fishing for more species than does the west coast of Costa Rica. Monster blue, black, and striped marlin, sailfish in incredible numbers, tuna, wahoo, record class Dorado (also called mahi-mahi or dolphin fish) giant grouper, snapper, amberjack, jack crevalle, mackeral, bonito, rainbow runners and blue runners, are all abundant in the blue pacific waters off of Flamingo and Potrero Beach.